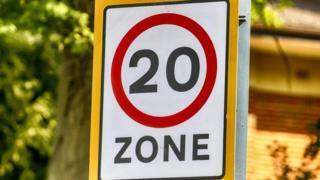 No new bids for 20mph zones will be accepted by East Lothian Council after it ordered a moratorium on any future speed restriction trials. The move comes as proposals to reduce the speed limit nationally from 30mph to 20mph on residential roads are to be considered by the Scottish government. The council said it had introduced a suspension until a decision had been taken at a national level. Two trials currently being held in Dunbar and East Linton will continue. An East Lothian Council spokesman said: "These are under an 18-month experimental order and any further action will be advised by the success or otherwise of the trial period. "Any requests for new 20mph areas whether permanent or trial will not be actioned at the moment. "East Lothian Council has a moratorium on further 20mph limits until the Scottish government decision is announced." Mark Ruskell, Green MSP for Mid Scotland and Fife, has been progressing his Proposed Restricted Roads (20mph Limit) (Scotland) Bill through the Scottish Parliament. The proposed bill has cross-party support from 12 SNP, seven Labour, five Green Party and one Liberal-Democrat MSP.